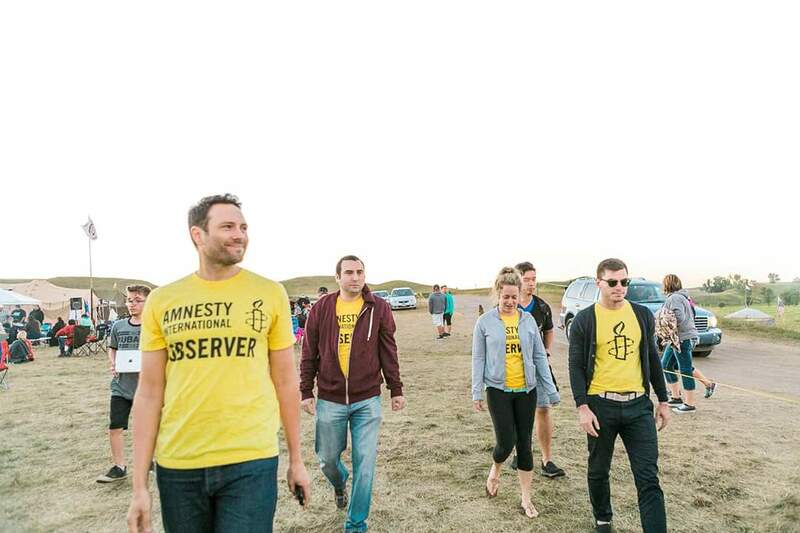 Did you know Amnesty International USA is a long-time shareholder activist? 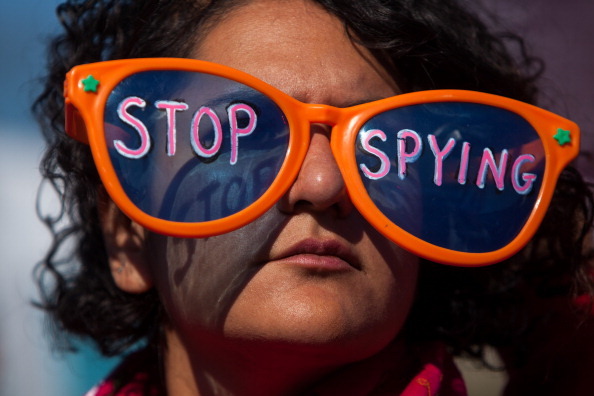 In a sign of growing concern regarding the U.S.-Saudi Arabia military alliance, 27 U.S. Senators recently backed legislation to stop a $1.15 billion arms sale to Saudi Arabia. Sen. Chris Murphy (D-CT), Sen. Rand Paul (R-KY), Sen. Al Franken (D-MN), and Sen. Mike Lee (R-UT) introduced bill S.J.Res 39 to block the Obama Administration’s latest billion dollar tank sale. On a procedural vote, the bill failed, but to even have a vote was a major shift in the “business as usual” climate of US arms sales to Saudi Arabia. The bill itself represents the rising tide of dissent in Congress and across the country over U.S. policy towards Saudi Arabia. In particular, there is increasing concern about Saudi Arabia’s military conduct in its armed conflict with the Houthi armed group in Yemen. Together with its allies, Saudi Arabia has launched a devastating bombing campaign across Yemen, disrupting civilian communities and killing thousands. While all parties to the conflict have committed serious human rights abuses, the Saudi Arabia-led coalition is the only party to the conflict to fight the war from the skies. In spite of the evidence of Saudi Arabia’s air atrocities, the US approved sale of $1.29 billion of bombs in November 2015. In response, Murphy and Paul introduced legislation limiting sales of bombs and other air-to-ground munitions to Saudi Arabia. The legislation conditions future sales on Saudi Arabia’s efforts to minimize harm to civilians and guarantee access to humanitarian aid for the Yemeni people. 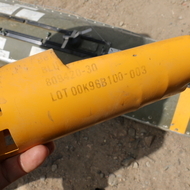 Part of a US-made CBU-87 cluster bomb (in background) and fragment of BLU-97 cluster sub-munitions (in hand) dropped by Saudi-led coalition forces in al-Magash, a village west of Sa’da City. The Saudi Arabia-led coalition has utterly failed to differentiate between civilian and military targets, hitting schools, villages, hospitals, and places of worship. U.S. designed or manufactured bombs have been found in the rubble. The ongoing U.S. arms sales to Saudi Arabia put the Obama Administration at risk of being complicit in those violations. Prior to the Senate vote, 64 members of the House of Representatives called on President Obama to postpone the arms sale to Saudi Arabia. In a ‘Dear Colleague’ letter to the President delivered August 30th, the bipartisan group urged the President to pause the deal until Congress returned from its recess and could debate the sale. March 2014: 70 members of Congress urged President Obama to address human rights violations in Saudi Arabia during the President’s visit to the country. March 2015: 67 members of Congress urged King Salman to implement human rights reforms in his country. June 2016: Rep. Conyers proposed an amendment banning the sale of cluster bombs to Saudi Arabia. 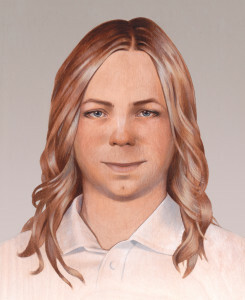 The proposal was very narrowly defeated, indicating Congressional concern over evidence that US cluster bombs were used in civilian areas in Yemen by the Saudi Arabia-led coalition. In a recent example of U.S. complicity, Amnesty International researchers determined that the bomb used in the August 15 bombing on a Doctors Without Borders / Medecins Sans Frontieres (MSF) hospital in Yemen was a U.S.-manufactured bomb. Amnesty International researchers previously documented 33 airstrikes that appear to have deliberately targeted civilians or civilian structures; such strikes are likely war crimes. In some of these cases, researchers found fragments of U.S.-designed or manufactured bombs among the ruins of Yemeni homes. Displaced children carrying water; IDP camp in Khamir (Amran governorate). Over 3 million people are internally displaced. Only 32% of promised humanitarian aid has been delivered to those who need it. Its time for Congress and the White House to stop the U.S. arms sales that are fueling violations of international human rights and humanitarian law. Why are these heroes treated like criminals? 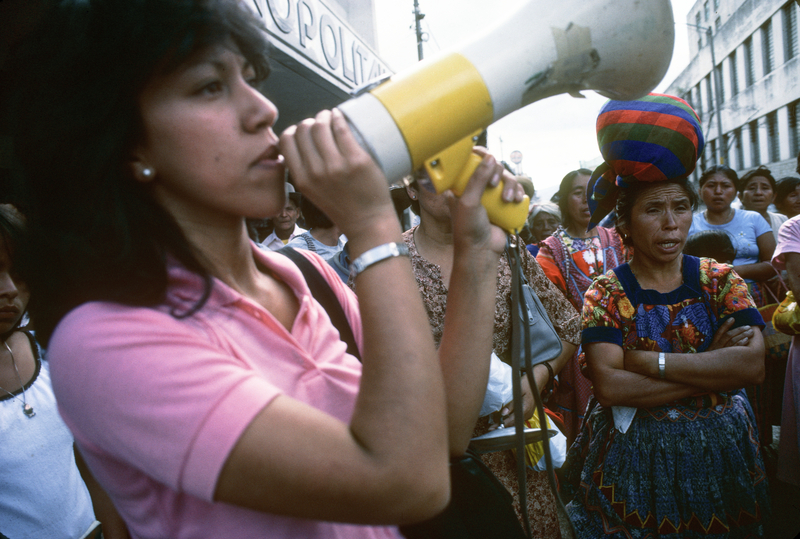 Rosario Godoy de Cuevas speaks into a megaphone at a demonstration at a GAM in Guatemala, 1985. Grupo de Apoyo Mutuo (GAM; Mutual Support Group) support group for families whose relatives had “disappeared”. Amnesty International has issued an Urgent Action in response to the June 21 raid of Impunity Watch’s office in Guatemala. Three armed men forced their way into the office and then blindfolded the organization’s secretary and covered her mouth with duct tape before ransacking the files. 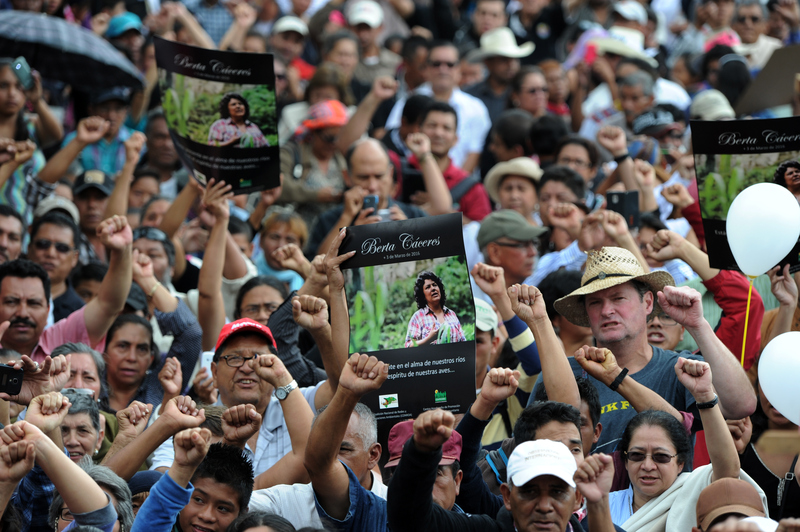 Whom would you suspect of killing Berta Cáceres? 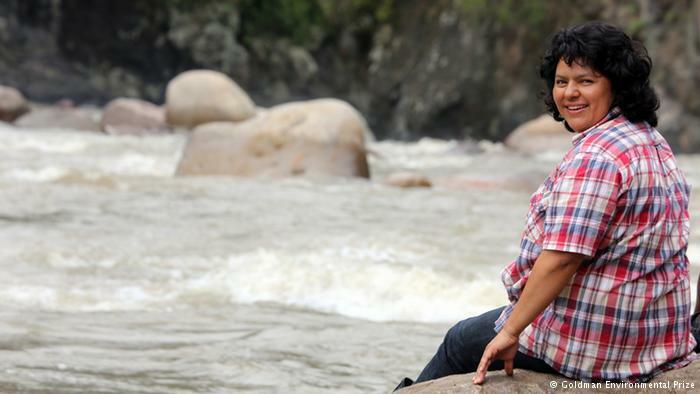 Gunmen brutally murdered Berta Cáceres, award-winning leader of the Council of Indigenous and Popular Organizations of Honduras (COPINH), in La Esperanza, Honduras on March 3, 2016. 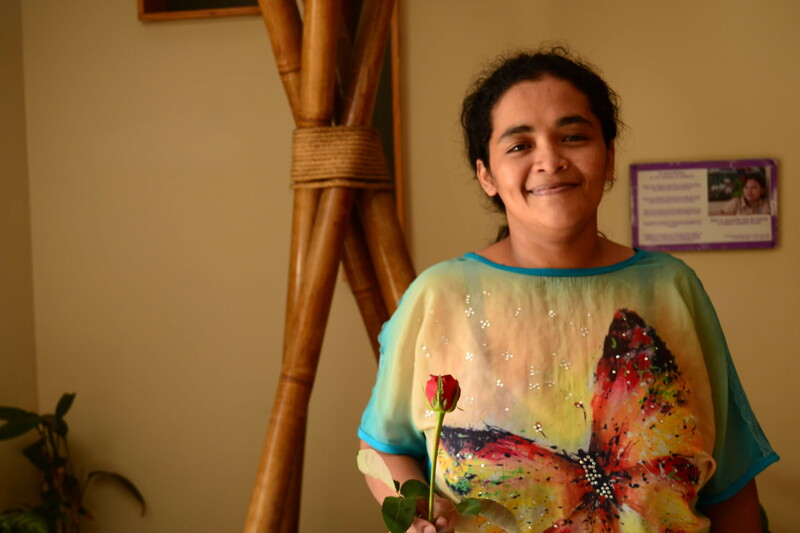 Almost immediately, the Honduran authorities jumped to the conclusion that she must have been killed in a robbery.